Are you looking for tool or equipment coverage for your construction business? 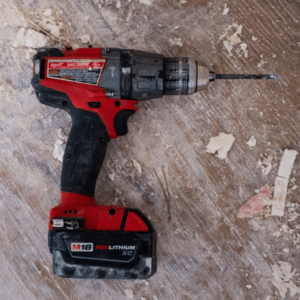 Are your tools properly insured? Well good news for Utica First customers, they have introduced two new options for your tool coverage. First, let me say if you own a small business and only have General Liability insurance you might be in for a surprise. General Liability or an Artisan Contractors Policy provides no tool or equipment coverage unless specifically added. IF you are going to spend $500+ on general liability to protect others, shouldn’t you spend a few dollars on protection for your tools that provide your livelihood? Just my two cents, but ignoring insurance for your tools could be extremely costly. If your tools went missing and you don’t have insurance the tool fairy probably won’t bring you that new milwaukee saw. But Utica First’s toolbox or ToolChest endorsement will. For only $200 for the toolbox endorsement you will get $10,000 in tools up to $700 per item, you also get up to $5,000 for computers incase that laptop or ipad you use gets stolen. This includes the tools and equipment you use on a regular basis. There is a maximum limit of coverage of $700 per tool. Does not cover wear and tear/mechanical breakdown. Does not cover mysterious disappearance. This includes any or all computer equipment that is primarily used for business. Provides property coverage for items in your care but not owned by you. 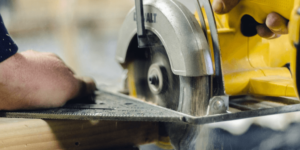 If you’re looking for more coverage or more peace of mind, there’s also the “Toolchest” endorsement that costs $400 and provides $25,000 in tools still subject to $700 max per item. Let’s be honest, if you run a small contracting business your tools are the lifeblood, if something were to happen wouldn’t it be better to have insurance to cover that loss vs maxing out a shiny new home depot credit card? If you think it’s time to insure your tools please contact us with the button below. How Much Does Home Insurance Cost In New York? Out Of State Contractors Should Read This Before Considering A Job In New York. © GRBM - All Rights Reserved | With ♡ in New York.